So, in my last writing, I introduced a series of posts I plan to share on my experiences within the medical system of France. 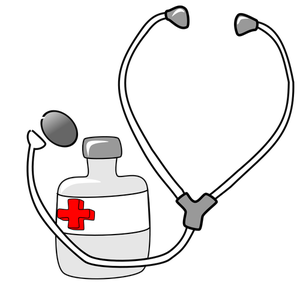 While covered for health originally by my spouse, now that I am self-employed, I am covered independently. We do have top-up insurance which covers most of what the government doesn’t. However, that is only 125 euros a month for both of us, a very far cry from what we would have to pay in the United States, an amount which would total in the thousands and exclude any additional deductibles. If you’re following along, you know that I had an appointment with a general practitioner this past week. The first comedy was in setting the appointment. I actually did alright asking for a rendezvous on the “trois Novembre” at “trois heure”…but when I hung up the phone, I realized that I might have misunderstood the receptionist because the French don’t say “trois heure”; they would say “quinz” heure which is 3PM. So, was my appointment actually at treize heure, which would be 1PM, since I might have misunderstood “treize heure” for “trois heure”? I had to call back to clear this up the next day, but it was a bank holiday. When I did get back with the receptionist and asked the time of my appointment, she said, “quatorze” which meant 2PM. Now that that was clear as mud, we decided to show up 1PM just to make sure I didn’t inadvertently arrive late. The doctor was running a little late, but only by a few minutes. She invited both my husband and myself into her office. We talked about my concerns, and she ordered blood tests, the first thing any doctor in France orders…so I am told. We then went through to her examination room where she asked me to disrobe. My husband remained in the office just an open door away. I found this a bit odd. I had to fight the impulse to close the door. Everything happens behind closed doors in the US and privacy is sacrosanct. Now, in the US, there are stirrups for these kinds of procedures and plenty of gowns and massive tissue papers with which to preserve one’s dignity…sort of. Not so here. Neither was there an ice-cold stainless-steel stirrup in site. Only now do I realize that stirrups are an absolutely unnecessary and somewhat alien addition to medical tables anyway. The most awkward aspect of my appointment was just hanging out and talking with the doctor, me undressed and uncovered, as if it were something that happens every day. Ah, but of course, for the doctor it DOES happen everyday. Now, some might think how terribly uncomfortable that would be, but if it didn’t bother her, why should it bother me? The fact that the French are so incredibly comfortable with their bodies is something to be admired and adopted, in my opinion. The overprotected privacy measures in the states would seem to only reinforce body shame and neurosis. Still, I will need more time to adapt in this regard. The cold is another matter, though, which I’ll never get used to. I find no difference in that when comparing exam rooms in the US and France. If I can’t have on socks and wrap myself in a blanket, I’m going to be cold! I filled in no paperwork (which any American knows is the whole point of going to a doctor!) 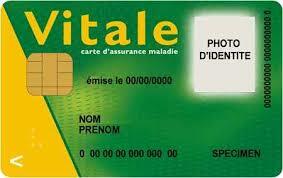 other than something called a Choix de Medecin Traitant, handed over my Carte Vitale (or health card), paid my 23 euros, and was done. I was given a long list of vitamin prescriptions (yes, paid for by the system – see my next post), my blood test request, an echogram order, and a referral to a cardiologist. This was all give without ceremony, resistance, or a hidden mental process undertaken by the doctor on how this might affect her salary, quite unlike what would have happened in the US. It was all very easy.